Each year I produce a selection of annuals for the Christmas period. 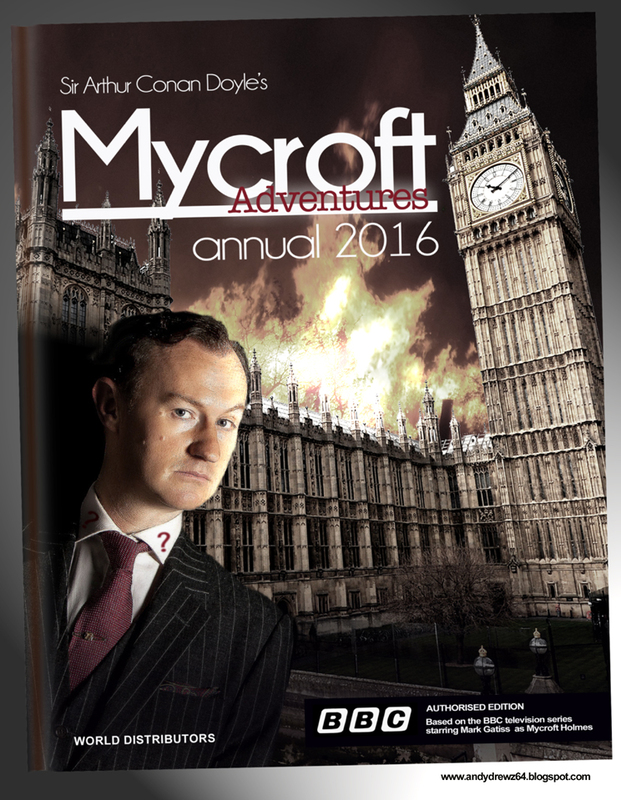 In 2015, I did one for a Sherlock spin-off series featuring Mycroft Holmes. I posted it on here - along with some others - and then it went the way of all things. Last week, following her sterling work in the second episode of the fourth series, I posted a cover for a Mrs. Hudson Adventures annual. 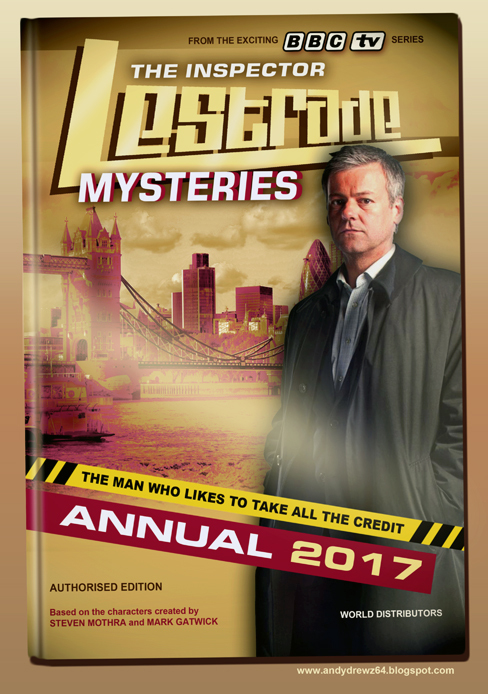 It seems to have gone down well with tweeterers. 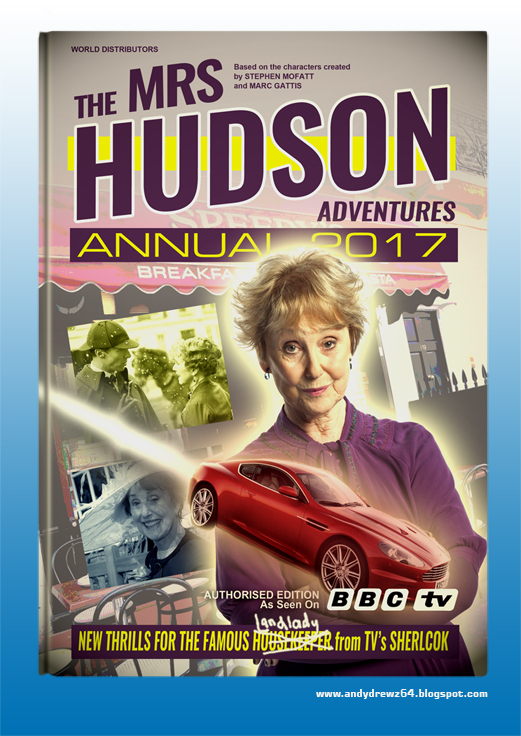 It got mentioned by the Radio Times and was featured on the #SherlockReacts show on the official BBC Sherlock channel. 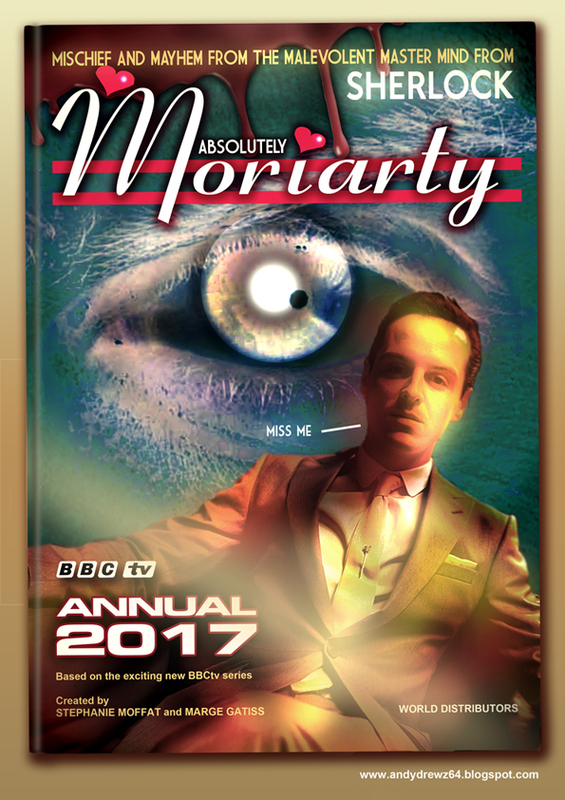 Never one to leave a gag untold and to always wring the last drop of humour from it, I did a handful of other Sherlock spin-offs and posted them to Twitter.